Canada 2020, in partnership with the Canadian Medical Association, invite you to this year’s Canada 2020 Health Summit: A New Health Accord for All Canadians. 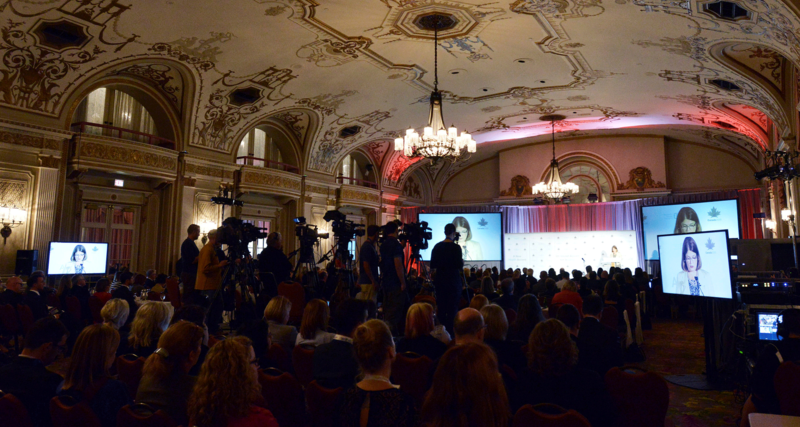 The event will open on Wednesday, September 28 with a reception and opening keynote, followed by a full-day conference on September 29 – all at the Chateau Laurier Hotel in Ottawa. A full agenda will be released one week before the conference. Registration for the event is now open to the public. As federal, provincial and territorial decision-makers prepare to re-new and re-negotiate a new Health Accord, Canada 2020 and the Canadian Medical Association are convening an outstanding group of stakeholders and experts to discuss, debate and discover implementable solutions that will lead to better health outcomes and quality of life – particularly for Canada’s elderly population. These discussions will help serve decision-makers and industry professionals on the front lines of health care, and drive innovations and improvements across the entire health system.